Climate Justice Action (CJA) is the main international activist network organising around December’s UN climate conference in Copenhagen. 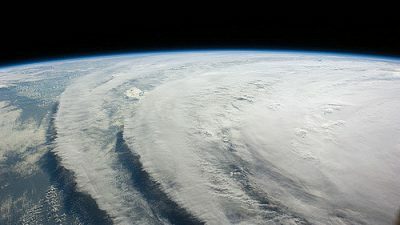 Politically, it spans groups that think the conference will yield a bad deal for the climate through to those that think the whole United Nations Framework Convention on Climate Change is fundamentally flawed. This spectrum is reflected in its main action, ‘Reclaim Power! Pushing for Climate Justice’, which aims to take over the conference on 16 December, the day ministers (and some world leaders) arrive, and ‘transform it into a People’s Summit for Climate Justice’. The CJA is flanked by a series of other actions. At the spikier end of the spectrum, autonomist and anarchist activists aim to shut down one of Denmark’s most polluting industrial sites in a ‘Hit the Production’ action on 13 December. This follows a major march in Copenhagen organised by a coalition of Danish trade unions, environmental and development organisations on 12 December, which will call on the world’s leaders to take ‘urgent and resolute’ action to tackle climate change (www.12dec09.dk). These will be accompanied by a series of other events, including a ‘Caravan to Copenhagen’ from Geneva, where the World Trade Organisation is cheekily celebrating the 10th anniversary of Seattle by holding a ministerial meeting aimed at re-starting talks on global trade liberalisation. La Via Campesina, the global peasant farmers’ federation, is calling for an action day on agriculture. It is concerned that the proposed use of forests and rural land as carbon offsets is stimulating a massive land grab by transnational companies (see ‘The great global land grab‘). Those same companies will be the target of a Worst Climate Lobby Award, as well as direct actions to coincide with the summit’s business day on 11 December. Throughout the official UN summit, an alternative climate forum (www.klimaforum09.dk) will be held in Copenhagen’s vast and lavish DGI-byen complex, a location that belies the radicalism of many of its participants. 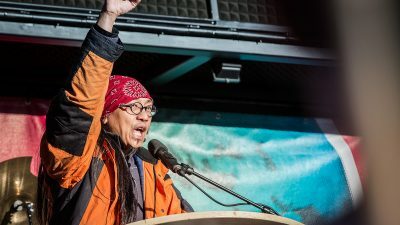 Although this is not formally linked to the Climate Justice Action network, it involves many of the same groups – from the autonomist-inclined KlimaX through to NOAH (Friends of the Earth Denmark). Politically, it brings together groups that would reject any Copenhagen deal that is based on large technological fixes and half-hearted commitments that amount to the outsourcing of the climate change problem to developing countries. It also aims to showcase ideas and experiences of how climate change can be tackled more justly, built around the common idea that some fundamental economic and social changes are needed. The other major non-governmental coalition is Tck Tck Tck (www.tcktcktck.org). Think ‘Make Poverty History’ and you’ll have a good idea of who is behind it and what type of action it will call for – the type of celebrity-endorsed popular pressure on governments that will make environment minister Ed Miliband sleep better at night. If you can’t make it to Copenhagen, you can take part in one of a number of actions planned for these shores during the summit. The Stop Climate Chaos coalition of environmental and development NGOs has called for a demonstration around parliament on 5 December, which it is branding ‘The Wave’ (www.stopclimatechaos.org). The Campaign Against Climate Change (www.campaigncc.org) is calling for a bike ride, rally and march to parliament earlier on the same day, culminating with The Wave at 2.45pm. And Climate Rush plans a ‘Rush on Parliament’ to add some spice to the proceedings. 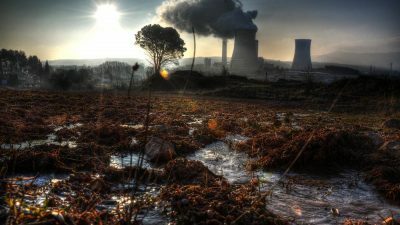 The World Development Movement (www.wdm.org.uk) is running a ‘Big If’ campaign, exposing the UK as a climate criminal if it allows new coal power stations to be built in the run-up to Copenhagen; and a climate debt campaign. It will also join the Jubilee Debt Campaign, People and Planet and Friends of the Earth in hosting a climate justice speaker in a variety of cities, including Glasgow, Manchester, Newcastle, Brighton and London from 12-21 November. Meanwhile, Platform (www.platformlondon.org) and others are behind ‘C Words: Carbon, Climate, Capital, Culture’, a series of events and exhibitions at Bristol’s Arnol Fini gallery throughout October and November.